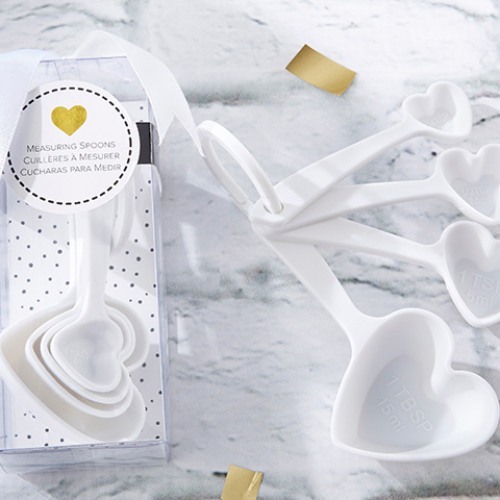 These heart shaped plastic measuring spoons make such a sweet party favor! Each set comes with four spoons that are shaped just like hearts and are linked together for easy use and storage. Choose from pink, white or blue.